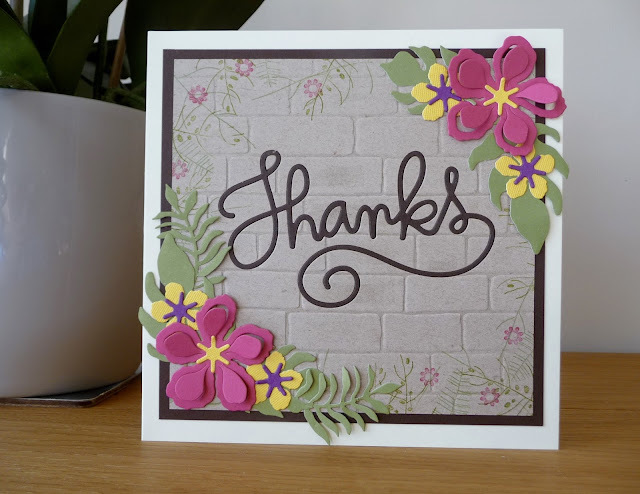 Everything here bar the sentiment die is by Stampin' Up! The finished card is 7 x 7 inches. I've used a brayer to ink the embossing folder before running it through my machine. 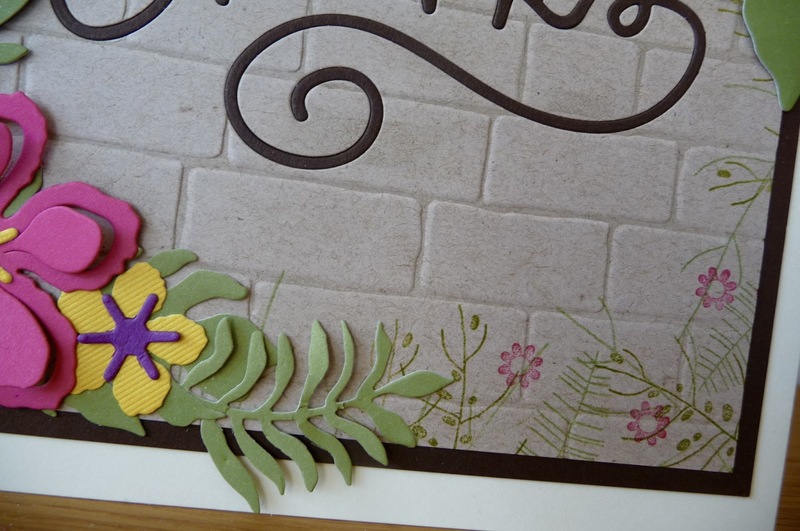 I then die-cut the sentiment from the centre and replaced it with a darker die-cut for an in-laid effect. Some random leaf and flower stamping and now I'm looking at the photo I think I'll add some pearls to those die-cut flowers. Great card. Really enjoyed the class today, this was a lovely make. I liked the letterpress brickwork, very effective. Pity my 'thanks' went wonky, though.